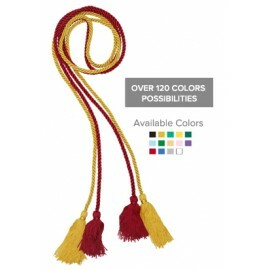 If you're thinking of the perfect graduation accessories to go with your graduation regalia, the Universal Graduation Honor Cords in our universal section is just what you're looking for. Every single one of the outstanding accessories ensures that you stand out from among the rest of the graduates during that all important graduation ceremony. You're sure that each of the elegant graduation cords perfectly balances comfort and quality owing to their solid twirled construction. 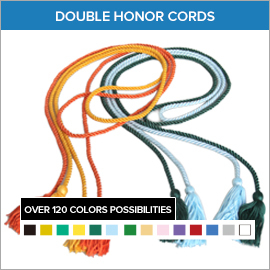 Our Graduation Honor Cord line contains both the Single as well as the Double Graduation Honor Cords which may be purchased in a wide selection of vibrant colors and styles. 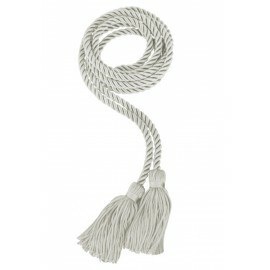 Give your graduate that much needed confidence boost by providing him with the best graduation regalia and accessories whatever the graduation level. 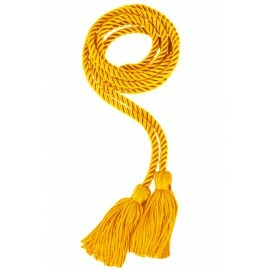 We've got all your elementary, high school and college graduation needs covered! 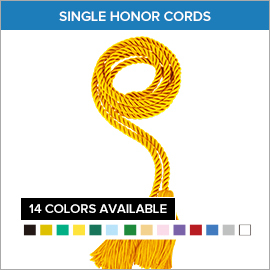 Check out our full range of universal graduation honor cord selections below!